Canadian Confederation (French: Confédération canadienne) was the process by which the British colonies of Canada, Nova Scotia, and New Brunswick were united into one Dominion of Canada on July 1, 1867. Upon confederation, the old province of Canada was divided into Ontario and Quebec; along with Nova Scotia and New Brunswick, the new federation thus comprised four provinces. Over the years since Confederation, Canada has seen numerous territorial changes and expansions, resulting in the current union of ten provinces and three territories. In this Canadian context, confederation here describes the political process that united the colonies in the 1860s, related events and the subsequent incorporation of other colonies and territories. The term is now often used to describe Canada in an abstract way, such as in "the Fathers of Confederation". Provinces and territories that became part of Canada after 1867 are also said to have joined, or entered into, confederation (but not the Confederation). The term is also used to divide Canadian history into pre-Confederation (i.e. pre-1867) and post-Confederation (i.e. post-1867) periods. All the former colonies and territories that became involved in the Canadian Confederation on July 1, 1867, were initially part of New France, and were once ruled by France. Nova Scotia was granted in 1621 to Sir William Alexander under charter by James VI. This claim overlapped the French claims to Acadia, and although the Scottish colony of Nova Scotia was short-lived, for political reasons, the conflicting imperial interests of France and the 18th century Great Britain led to a long and bitter struggle for control. The British acquired present-day mainland Nova Scotia by the Treaty of Utrecht of 1713 and the Acadian population was expelled by the British in 1755. They called Acadia Nova Scotia, which included present-day New Brunswick. The rest of New France was acquired by the British by the Treaty of Paris (1763), which ended the Seven Years' War. From 1763 to 1791, most of New France became the Province of Quebec. However, in 1769 the present-day Prince Edward Island, which had been part of Acadia, was renamed "St John's Island" and organized as a separate colony. It was renamed "Prince Edward Island" in 1798 in honour of Prince Edward, Duke of Kent and Strathearn. The first English attempt at settlement had been in Newfoundland, which would not join Confederation until 1949. The Society of Merchant Venturers of Bristol began to settle Newfoundland and Labrador at Cuper's Cove as far back as 1610, and Newfoundland had also been the subject of a French colonial enterprise. In the wake of the American Revolution, an estimated 50,000 United Empire Loyalists fled to British North America. The British created the separate colony of New Brunswick in 1784 for the Loyalists who settled in the western part of Nova Scotia. While Nova Scotia (including New Brunswick) received slightly more than half of this influx, many Loyalists also settled in the Province of Quebec, which by the Constitutional Act of 1791 was separated into a predominantly English Upper Canada and a predominantly French Lower Canada. The War of 1812 and Treaty of 1818 established the 49th parallel as the border with the United States from the Great Lakes to the Rocky Mountains in Western Canada. Following the Rebellions of 1837, Lord Durham in his Durham Report, recommended Upper and Lower Canada be joined as the Province of Canada and the new province should have a responsible government. 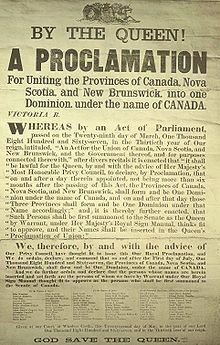 As a result of Durham's report, the British Parliament passed the Act of Union 1840, and the Province of Canada was formed in 1841. The new province was divided into two parts: Canada West (the former Upper Canada) and Canada East (the former Lower Canada). Governor General Lord Elgin granted ministerial responsibility in 1848, first to Nova Scotia and then to Canada. In the following years, the British would extend responsible government to Prince Edward Island (1851), New Brunswick (1854), and Newfoundland (1855). The area which constitutes modern-day British Columbia is the remnants of the Hudson's Bay Company's Columbia District and New Caledonia District following the Oregon Treaty. Before joining Canada in 1871, British Columbia consisted of the separate Colony of British Columbia (formed in 1858, in an area where the Crown had granted a monopoly to the Hudson's Bay Company), and the Colony of Vancouver Island (formed in 1849) constituting a separate crown colony until it was united with the colony of British Columbia in 1866. The remainder of modern-day Canada was made up of Rupert's Land and the North-Western Territory (both of which were controlled by the Hudson's Bay Company and sold to Canada in 1870) and the Arctic Islands, which were under direct British control and became a part of Canada in 1880. The idea of unification was presented in 1839 by Lord Durham in his Report on the Affairs of British North America, which resulted in the Union of Upper and Lower Canada. Beginning in 1857, Joseph-Charles Taché proposed a federation in a series of 33 articles published in the Courrier du Canada. In 1859, Alexander Tilloch Galt, George-Étienne Cartier and John Ross travelled to Great Britain to present the British Parliament with a project for confederation of the British colonies. The proposal was received by the London authorities with polite indifference. By 1864, it was clear that continued governance of the Province of Canada under the terms of the 1840 Act of Union had become impracticable. Therefore, a Great Coalition of parties formed in order to reform the political system. the Little Englander philosophy, whereby Britain no longer wanted to maintain troops in its colonies. There is extensive scholarly debate on the role of political ideas in Canadian Confederation. Traditionally, historians regarded Canadian Confederation an exercise in political pragmatism that was essentially non-ideological. In the 1960s, historian Peter Waite derided the references to political philosophers in the legislative debates on Confederation as "hot air". In Waite's view, Confederation was driven by pragmatic brokerage politics and competing interest groups. In 1987, political scientist Peter J. Smith challenged the view Canadian Confederation was non-ideological. Smith argued Confederation was motivated by new political ideologies as much as the American and French Revolutions and Canadian Confederation was driven by a Court Party ideology. Smith traces the origins of this ideology to eighteenth and nineteenth-century Britain, where political life was polarized between defenders of classical republican values of the Country Party and proponents of a new pro-capitalist ideology of the Court Party, which believed in centralizing political power. In British North America in the late 1860s, the Court Party tradition was represented by the supporters of Confederation, whereas the anti-capitalist and agrarian Country Party tradition was embodied by the Anti-Confederates. In a 2000 journal article, historian Ian McKay argued Canadian Confederation was motivated by the ideology of liberalism and the belief in the supremacy of individual rights. McKay described Confederation as part of the classical liberal project of creating a "liberal order" in northern North America. Many Canadian historians have adopted McKay's liberal order framework as a paradigm for understanding Canadian history. In 2007, political scientist Janet Ajzenstat connected Canadian Confederation to the individualist ideology of John Locke. She argued that the union of the British North American colonies was motivated by a desire to protect individual rights, especially the rights to life, liberty, and property. She contends the Fathers of Confederation were motivated by the values of the Enlightenment of the seventeenth and eighteenth centuries. She argues their intellectual debts to Locke are most evident when one looks at the 1865 debates in the Province of Canada's legislature on whether or not union with the other British North American colonies would be desirable. In the spring of 1864, New Brunswick premier Samuel Leonard Tilley, Nova Scotia premier Charles Tupper, and Prince Edward Island premier John Hamilton Gray were contemplating the idea of a Maritime Union which would join their three colonies together. 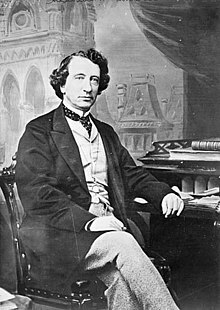 The Premier of the Province of Canada John A. Macdonald surprised the Atlantic premiers by asking if the Province of Canada could be included in the negotiations. The request was channelled through the Governor-General, Monck, to London and accepted by the Colonial Office. After several years of legislative paralysis in the Province of Canada caused by the need to maintain a double legislative majority (a majority of both the Canada East and Canada West delegates in the Province of Canada's legislature), Macdonald had led his Liberal-Conservative Party into the Great Coalition with George-Étienne Cartier’s Parti bleu and George Brown’s Clear Grits. Macdonald, Cartier, and Brown felt union with the other British colonies might be a way to solve the political problems of the Province of Canada. The Charlottetown Conference began on September 1, 1864. Since the agenda for the meeting had already been set, the delegation from the Province of Canada was initially not an official part of the Conference. The issue of Maritime Union was deferred and the Canadians were formally allowed to join and address the Conference. the appointment of a governor general by the British Crown. the building of an intercolonial railway to link Montreal and Halifax, giving Canada access to an ice-free winter port and the Maritimes easy access to Canada and Rupert's Land. After the Conference adjourned on September 9, there were further meetings between delegates held at Halifax, Saint John, and Fredericton. These meetings evinced enough interest that the delegates decided to hold a second Conference. One of the most important purposes of the Charlottetown Conference was the introduction of Canadians to the leaders from the Maritime Provinces and vice versa. At this point there was no railway link from Quebec City to Halifax, and the people of each region had little to do with one another. 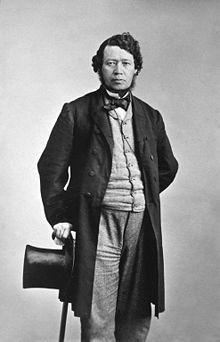 D'Arcy McGee was one of the few Canadian delegates who had been to the Maritimes, when he had gone down earlier that summer with a trade mission of Canadian businessmen, journalists and politicians. George Brown remarked in a letter to his wife Anne that at a party given by the premier of PEI, Colonel John Hamilton Gray, he met a woman who had never been off the island in her entire life. Nevertheless, he found Prince Edward Islanders to be "amazingly civilized". After returning home from the Charlottetown Conference, John A. Macdonald asked Viscount Monck, the Governor General of the Province of Canada to invite delegates from the three Maritime provinces and Newfoundland to a conference with United Canada delegates. Monck obliged and the Conference went ahead at Quebec City in October 1864. The Conference began on October 10, 1864, on the site of present-day Montmorency Park. The Conference elected Étienne-Paschal Taché as its chairman, but it was dominated by Macdonald. Despite differences in the positions of some of the delegates on some issues, the Quebec Conference, following so swiftly on the success of the Charlottetown Conference, was infused with a determinative sense of purpose and nationalism. For the Reformers of Canada West, led by George Brown, the end of what they perceived as French-Canadian interference in local affairs was in sight. For Maritimers such as Tupper of Nova Scotia or Tilley of New Brunswick, horizons were suddenly broadened to take in much larger possibilities for trade and growth. At the end of the Conference, it adopted the Seventy-two Resolutions which would form the basis of a scheduled future conference. The Conference adjourned on October 27. Prince Edward Island emerged disappointed from the Quebec Conference. It did not receive support for a guarantee of six members in the proposed House of Commons, and was denied an appropriation of $200,000 it felt had been offered at Charlottetown to assist in buying out the holdings of absentee landlords. In December 1866, sixteen delegates from the Province of Canada, New Brunswick, and Nova Scotia travelled to London, where the 4th Earl of Carnarvon presented each to Queen Victoria in private audience, as well as holding court for their wives and daughters. At meetings held at the Westminster Palace Hotel, the delegates reviewed and approved the 72 resolutions; although Charles Tupper had promised anti-union forces in Nova Scotia he would push for amendments, he was unsuccessful in getting any passed. Now known as the London Resolutions, the conference's decisions were forwarded to the Colonial Office. After breaking for Christmas, the delegates reconvened in January 1867 and began drafting the British North America Act. The 4th Earl of Carnarvon continued to have a central role in drafting the Act at Highclere Castle alongside the first Prime Minister of Canada John A. Macdonald, George-Étienne Cartier and Alexander Tilloch Galt, who signed the visitor book in 1866. After suggestions of 'Franklin' and 'Guelfenland', they agreed the new country should be called Canada, Canada East should be renamed Quebec and Canada West should be renamed Ontario. There was, however, heated debate about how the new country should be designated. Ultimately, the delegates elected to call the new country the Dominion of Canada, after "kingdom" and "confederation", among other options, were rejected. The term dominion was allegedly suggested by Sir Samuel Leonard Tilley. The delegates had completed their draft of the British North America Act by February 1867. 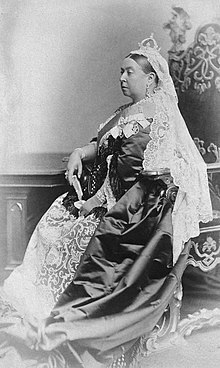 The Act was presented to Queen Victoria on February 11, 1867. The bill was introduced in the House of Lords the next day. The bill was quickly approved by the House of Lords, and then also quickly approved by the British House of Commons. (The Conservative Lord Derby was prime minister of the United Kingdom at the time.) The Act received royal assent on March 29, 1867, and set July 1, 1867, as the date for union. Confederation was accomplished when the Queen gave royal assent to the British North America Act (BNA Act) on March 29, 1867, followed by a royal proclamation stating: "We do ordain, declare, and command that on and after the First day of July, One Thousand Eight Hundred and Sixty-seven, the Provinces of Canada, Nova Scotia, and New Brunswick, shall form and be One Dominion, under the name of Canada." That act, which united the Province of Canada with the colonies of New Brunswick and Nova Scotia, came into effect on July 1 that year. The act replaced the Act of Union (1840) which had unified Upper Canada and Lower Canada into the united Province of Canada. 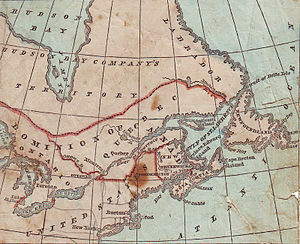 Separate provinces were re-established under their current names of Ontario and Quebec. July 1 is now celebrated as a public holiday, Canada Day, the country's official National Day. By adhering to the monarchical principle we avoid one defect inherent in the Constitution of the United States. By the election of the president by a majority and for a short period, he never is the sovereign and chief of the nation. He is never looked up to by the whole people as the head and front of the nation. He is at best but the successful leader of a party. This defect is all the greater on account of the practice of reelection. During his first term of office he is employed in taking steps to secure his own reelection, and for his party a continuance of power. We avoid this by adhering to the monarchical principle—the sovereign whom you respect and love. I believe that it is of the utmost importance to have that principle recognized so that we shall have a sovereign who is placed above the region of party—to whom all parties look up; who is not elevated by the action of one party nor depressed by the action of another; who is the common head and sovereign of all. The form of government chosen is regarded as having created a federation that is a kingdom in its own right. John A. Macdonald had spoken of "founding a great British monarchy" and wanted the newly created country to be called the "Kingdom of Canada". Although it had its monarch in London, the Colonial Office opposed as "premature" and "pretentious" the term "kingdom", as it was felt it might antagonize the United States. The term dominion was chosen to indicate Canada's status as a self-governing polity of the British Empire, the first time it was used in reference to a country. While the BNA Act eventually resulted in Canada having more autonomy than it had before, it was far from full independence from the United Kingdom. According to the Supreme Court of Canada, Canadian "sovereignty was acquired in the period between its separate signature of the Treaty of Versailles in 1919 and the Statute of Westminster, 1931" long after Confederation in 1867. Defence of British North America became a Canadian responsibility. Foreign policy remained in British hands, the Judicial Committee of the Privy Council remained Canada's highest court of appeal, and the constitution could be amended only in Britain. Gradually, Canada gained more autonomy, and in 1931, obtained almost full autonomy within the British Commonwealth with the Statute of Westminster. Because the provinces of Canada were unable to agree on a constitutional amending formula, this power remained with the British Parliament. In 1982, the constitution was patriated when Elizabeth II gave her royal assent to the Canada Act 1982. The Constitution of Canada is made up of a number of codified acts and uncodified traditions; one of the principal documents is the Constitution Act, 1982, which renamed the BNA Act 1867 to Constitution Act, 1867. 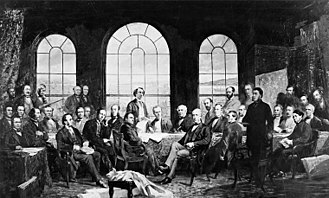 1885 photo of Robert Harris' 1884 painting, Conference at Quebec in 1864, to settle the basics of a union of the British North American Provinces, also known as The Fathers of Confederation. The original painting was destroyed in the 1916 Parliament Buildings Centre Block fire. The scene is an amalgamation of the Charlottetown and Quebec City conference sites and attendees. There were 36 original Fathers of Confederation. 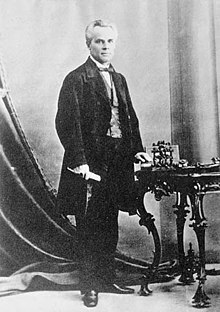 Hewitt Bernard, who was the recording secretary at the Charlottetown Conference, is considered by some to be a Father of Confederation. The later "Fathers" who brought the other provinces into Confederation after 1867 are also referred to as "Fathers of Confederation". In this way, Amor De Cosmos who was instrumental both in bringing democracy to British Columbia and in bringing his province into Confederation, is considered by many to be a Father of Confederation. As well, Joey Smallwood referred to himself as "the Last Father of Confederation", because he helped lead Newfoundland into Confederation in 1949. After the initial Act of Union in 1867, Manitoba was established by an Act of the Canadian Parliament on July 15, 1870, originally as an area of land much smaller than the current province. British Columbia joined Canada July 20, 1871, by an Imperial Order-in-Council enacted under the authority of the British North America Act. The Order-in-Council incorporated the Terms of Union negotiated by the governments of Canada and British Columbia, including a commitment by the federal government to build a railway connecting British Columbia to the railway system of Canada within 10 years of union. Prince Edward Island (P.E.I) joined July 1, 1873, also by an Imperial Order-in-Council. One of the Prince Edward Island Terms of Union was a guarantee by the federal government to operate a ferry link, a term which was deleted upon completion of the Confederation Bridge in 1997. Alberta and Saskatchewan were established September 1, 1905, by Acts of the Canadian Parliament. Newfoundland joined on March 31, 1949 by an Act of the Imperial Parliament, also with a ferry link guaranteed. The Crown acquired Rupert's Land and the North-Western Territory from the Hudson's Bay Company in 1869 (though final payment to the Hudson's Bay Company did not occur until 1870), and then transferred jurisdiction to the Dominion on July 15, 1870, merging them and naming them North-West Territories. In 1880, the British assigned all North American Arctic islands to Canada, right up to Ellesmere Island. From this vast swath of territory were created three provinces (Manitoba, Saskatchewan, Alberta) and two territories (Yukon Territory and North-West Territories, now Yukon and Northwest Territories), and two extensions each to Quebec, Ontario, and Manitoba. Later, the third territory of Nunavut was carved from the Northwest Territories on April 1, 1999. Below is a list of Canadian provinces and territories in the order in which they entered Confederation; territories are italicized. At formal events, representatives of the provinces and territories take precedence according to this ordering, except that provinces always precede territories. For provinces that entered on the same date, the order of precedence is based on the provinces' populations at the time they entered Confederation. ^ a b c In 1870 the Hudson's Bay Company-controlled Rupert's Land and North-Western Territory were transferred to the Dominion of Canada. Most of these lands were formed into a new territory named Northwest Territories, but the region around Fort Garry was simultaneously established as the province of Manitoba by the Manitoba Act of 1870. ^ Renamed Newfoundland and Labrador in 2001. The term Confederation has entered into Canadian parlance both as a metaphor for the country and for the historical events that created it. It has therefore become one of the most common names for Canadian landmarks. Examples include Mount Confederation, Confederation Square, Confederation Building, Confederation Park, Confederation Station, Confederation Heights, Confederation Bridge, and so on. This is similar to the American practices of naming things "Union" and likewise the Australians with "Federation". ^ Martin, Ged (1995). Britain and the Origins of Canadian Confederation, 1837–67. Vancouver: University of British Columbia Press. p. 1. ISBN 978-0774804875. ^ "Constitution Act, 1867". Her Majesty the Queen in Right of Canada. March 29, 1867. p. s.5. Retrieved September 3, 2012. ^ "Constitution Act, 1867". Her Majesty the Queen in Right of Canada. March 29, 1867. p. 18. Retrieved September 3, 2012. ^ Canada. "Canadian Confederation". How Canada came to be. Government of Canada. Retrieved June 29, 2011. ^ Edward W. Walker (May 1, 2003). Dissolution: sovereignty and the breakup of the Soviet Union. Rowman & Littlefield. p. 174. ISBN 978-0-7425-2453-8. ^ Martin Brook Taylor; Doug Owram (May 17, 1994). Canadian History: Beginnings to Confederation. University of Toronto Press. p. 13. ISBN 978-0-8020-6826-2. ^ a b c d e Jacques Dorin; Michèle Kaltemback; Sheryl Rahal (2007). Canadian Civilization. Presses Univ. du Mirail. pp. 14–17. ISBN 978-2-85816-888-0. Retrieved February 20, 2012. ^ a b Neil Semple (April 16, 1996). The Lord's Dominion: The History of Canadian Methodism. McGill-Queens. p. 460. ISBN 978-0-7735-1400-3. ^ Derek Hayes (August 31, 2006). Historical Atlas of Canada: Canada's History Illustrated with Original Maps. Douglas & McIntyre. p. 212. ISBN 978-1-55365-077-5. ^ Sandra Clarke (April 1, 2010). Newfoundland and Labrador English. Edinburgh University Press. p. 5. ISBN 978-0-7486-2617-5. ^ Derek Hayes (August 31, 2006). Historical Atlas of Canada: Canada's History Illustrated with Original Maps. Douglas & McIntyre. p. 127. ISBN 978-1-55365-077-5. ^ Roger L. Kemp (May 30, 2010). Documents of American Democracy: A Collection of Essential Works. McFarland. p. 180. ISBN 978-0-7864-4210-2. ^ Geoffrey J. Matthews; R. Louis Gentilcore (1987). Historical Atlas of Canada: The land transformed, 1800–1891. University of Toronto Press. p. 57. ISBN 978-0-8020-3447-2. ^ a b Paul R. Magocsi; Multicultural History Society of Ontario (1999). Encyclopedia of Canada's peoples. University of Toronto Press. p. 552. ISBN 978-0-8020-2938-6. ^ J. M. S. Careless (June 30, 2011). Canada: A Story of Challenge. Cambridge University Press. p. 205. ISBN 978-1-107-67581-0. ^ Mercantile Library Association (San Francisco, Calif.); Alfred Edward Whitaker (1874). Catalogue of the library of the Mercantile library association of San Francisco. Francis & Valentine, printers. p. 106. ^ Charles Emmerson (March 2, 2010). The Future History of the Arctic. PublicAffairs. p. 73. ISBN 978-1-58648-636-5. ^ Will Kaufman; Heidi Slettedahl Macpherson (2005). Britain and the Americas: Culture, Politics, and History. ABC-CLIO. p. 822. ISBN 978-1-85109-431-8. ^ Ged Martin (1995). 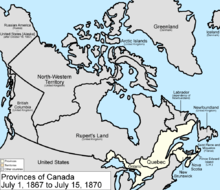 Britain and the origins of Canadian confederation, 1837–67. UBC Press. pp. 23–57. ISBN 978-0-7748-0487-5. ^ Richard Gwyn (October 28, 2008). John A: The Man Who Made Us. Random House Digital, Inc. ISBN 978-0-679-31476-9. ^ a b J. M. S. Careless (January 26, 2012). Canada: A Story of Challenge. Cambridge University Press. p. 233. ISBN 978-1-107-67581-0. ^ "Quebec 2008 (400th Anniversary website), Government of Canada". Quebec400.gc.ca. November 8, 2007. Archived from the original on May 6, 2012. Retrieved May 8, 2012. ^ a b "A Constitutional Walk for Canada Day". Lady Carnarvon. June 30, 2017. Retrieved June 19, 2018. ^ Bousfield, Arthur; Toffoli, Garry (1991). Royal Observations. Toronto: Dundurn Press Ltd. p. 16. ISBN 978-1-55002-076-2. Retrieved March 7, 2010. ^ "Community Category: Highclere and Canada". Lady Carnarvon. Retrieved June 19, 2018. ^ James Stuart Olson; Robert Shadle (1996). Historical Dictionary of the British Empire. Greenwood Publishing Group. p. 916. ISBN 978-0-313-29367-2. ^ Alan Rayburn (March 1, 2001). Naming Canada: Stories About Canadian Place Names. University of Toronto Press. p. 18. ISBN 978-0-8020-8293-0. ^ Christopher Moore (July 27, 2011). 1867: How the Fathers Made a Deal. Random House Digital, Inc. p. 159. ISBN 978-1-55199-483-3. ^ "Macdonald, John A.; On Canadian Confederation; 1865". Bartleby.com. Retrieved May 8, 2012. ^ Rand Dyck (March 2011). Canadian Politics. Cengage Learning. p. 106. ISBN 978-0-17-650343-7. ^ Nọnso Okafọ (October 22, 2009). Reconstructing law and justice in a postcolony. Ashgate Publishing, Ltd. pp. 76–. ISBN 978-0-7546-4784-3. Retrieved February 20, 2012. ^ Chambers's encyclopaedia: a dictionary of universal knowledge for the people. Collier. 1887. p. 225. ^ "Constitution Act, 1867". Ottawa: Her Majesty the Queen in Right of Canada. 1867. p. 129. ^ Patrick Malcolmson; Richard Myers (August 15, 2009). The Canadian Regime: An Introduction to Parliamentary Government in Canada. University of Toronto Press. p. 7. ISBN 978-1-4426-0047-8. ^ Robert Alexander Harrison; Peter Oliver; Osgoode Society for Canadian Legal History (October 1, 2003). The conventional man: the diaries of Ontario Chief Justice Robert A. Harrison, 1856–1878. University of Toronto Press. p. 627. ISBN 978-0-8020-8842-0. ^ Stanford, Frances (2002). Canada's Confederation. S&S Learning Materials. p. 44. ISBN 978-1-55035-708-0. ^ Christopher McCreery (2005). The Order of Canada: its origins, history, and development. University of Toronto Press. p. 168. ISBN 978-0-8020-3940-8. ^ Douglas N. Sprague (June 2, 1988). Canada and the Métis, 1869–1885. Wilfrid Laurier Univ. Press. p. 117. ISBN 978-0-88920-964-0. ^ a b c Rae Murphy (1993). The essentials of canadian history: Canada since 1867, the post-confederate nation. Research & Education Assoc. pp. 6–7. ISBN 978-0-87891-917-8. ^ British Columbia Terms of Union, May 16, 1871. ^ Branch, Legislative Services. "Consolidated federal laws of canada, Access to Information Act". ^ British Columbia Terms of Union, para. 11. ^ Newfoundland Act, 12 & 13 Geo. VI, c. 22 (U.K.). ^ Dominion Lands Policy. McGill-Queen's Press – MQUP. January 15, 1973. pp. 1–. GGKEY:ND80W0QRBQN. Retrieved February 20, 2012. ^ Richard J. Diubaldo (January 18, 1999). Stefansson and the Canadian Arctic. McGill-Queen's Press – MQUP. p. 6. ISBN 978-0-7735-1815-5. ^ Jens Dahl; Jack Hicks; Peter Jull; International Work Group for Indigenous Affairs (2000). Nunavut: Inuit regain control of their lands and their lives. IWGIA. p. 20. ISBN 978-87-90730-34-5. Nova Scotia. House of Assembly (1867). Debate on the union of the provinces, in the House of Assembly of Nova Scotia, March 16th, 18th and 19th, 1867. Joseph Howe; William Annand; Hugh McDonald; Great Britain. Foreign Office (1867). Letter addressed to the Earl of Carnarvon by Mr. Joseph Howe, Mr. William Annand, and Mr. Hugh McDonald, stating their objections to the proposed scheme of union of the British North American provinces. Printed by G.E. Eyre and W. Spottiswoode, for H.M. Stationery Off. p. 36. Canada. Parliament; Murray A. Lapin; Canada. Archives branch; J. S. Patrick (1865). Parliamentary debates on the subject of the Confederation of the British North American provinces, 3rd session, 8th provincial Parliament of Canada. Hunter, Rose & co., parliamentary printers. McCord Museum: "Confederation: The Creation of Canada"